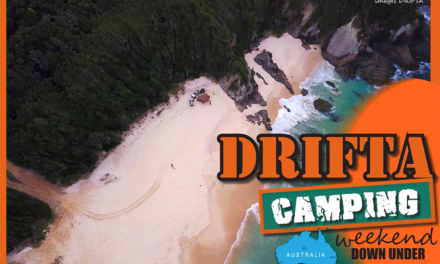 With the whole over-landing trend getting more and more popular around the world, we are now starting to see some innovative smaller companies emerging and providing niche products to an ever expanding family of 4WD tourers. 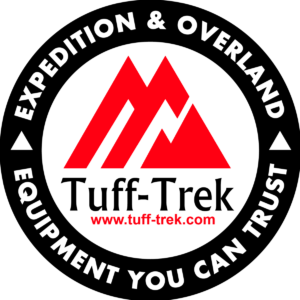 One of these companies is the UK based Tuff-Trek. 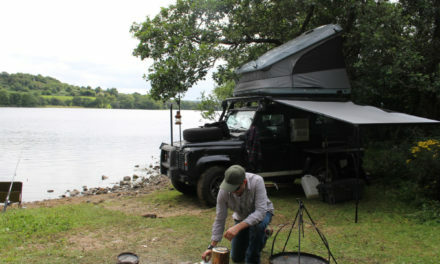 Dara King a very experienced tourer and camper heads up the Tuff-Trek operation and he pretty much practices what he preaches, DARA has been four wheel driving and camping for years having lived in Africa where his passion began. 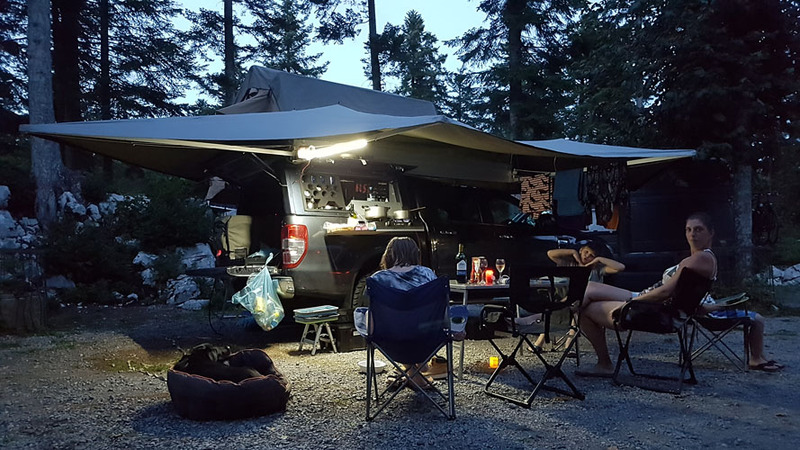 He also makes sure he takes his family out for a couple of weeks each summer camping and touring where he gets the opportunity to study,invent and improve his equipment and touring setups. 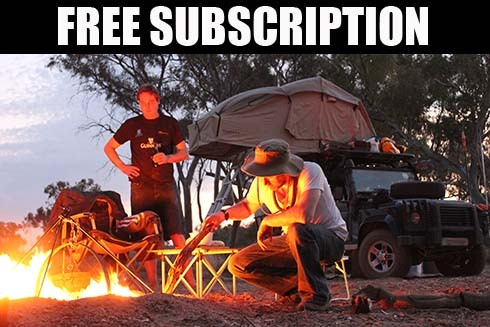 Now back in the UK, Dara set up Tuff-Trek who specialise in Roof Top Tents and other overlanding and 4WD touring equipment. 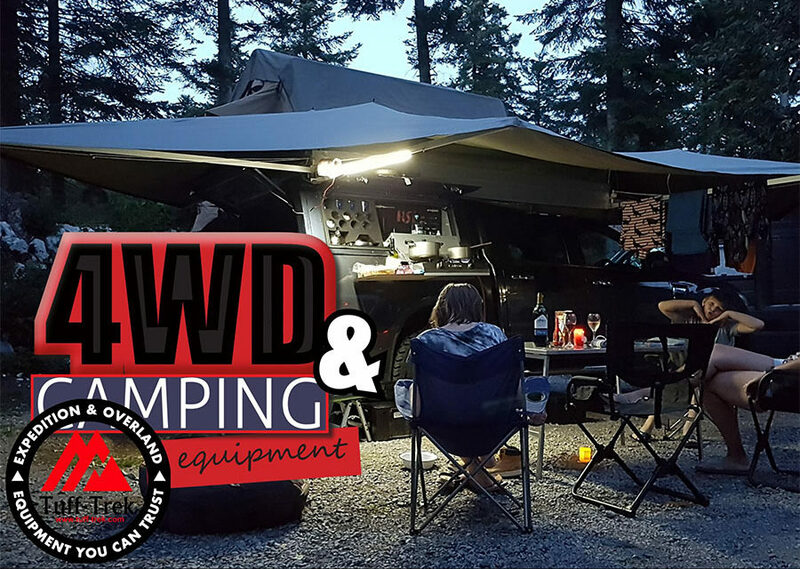 Tuff-Trek offer a wide spectrum of tents to suits all need from Soft top Style Roof Tents right through to a specialised and premium range of Manual and Electric Hard Shell Roof Top Tents, Alu-Cab Land Rover Defender Roof Conversions and vehicle mounted Awning systems. Dara also told us that they have recently become agents for the recently introduced South African made Quick Pitch shower set up. 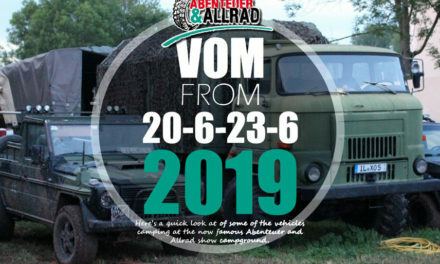 This is a NEW innovative product that’s basically a quickly set up shower/toilet/changing room cubicle that is attached to your vehicle and with its compact and clever design is easily deployed. 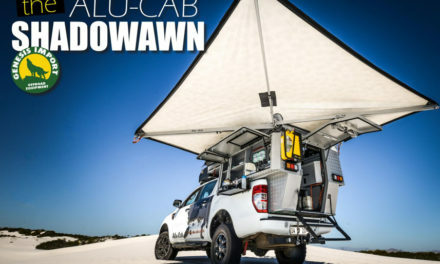 Other products soon to be introduced include some new roof top tents including an affordable hardtop and a brand new Roof Top Tent mounting system. 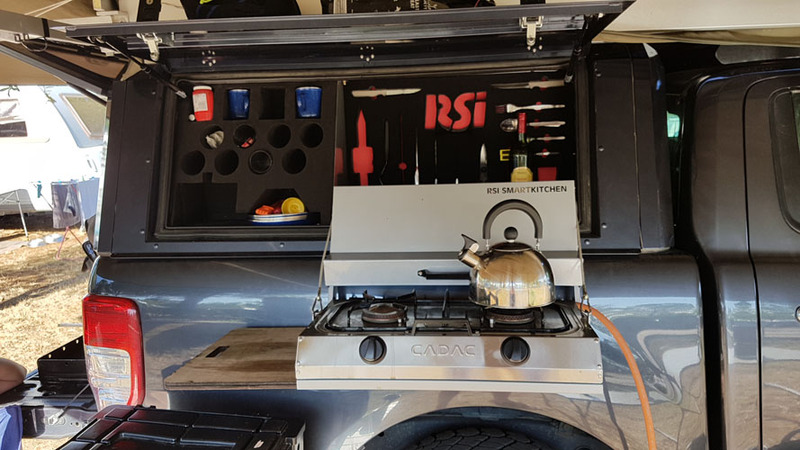 On speaking to Dara you can tell that he is passionate about his 4WD touring and camping and with this passion he has come up with some very innovative designs that the Tuff – Trek have patented in recent years, these include the innovative Kargo Karrier that is designed for Land Rover Defenders. 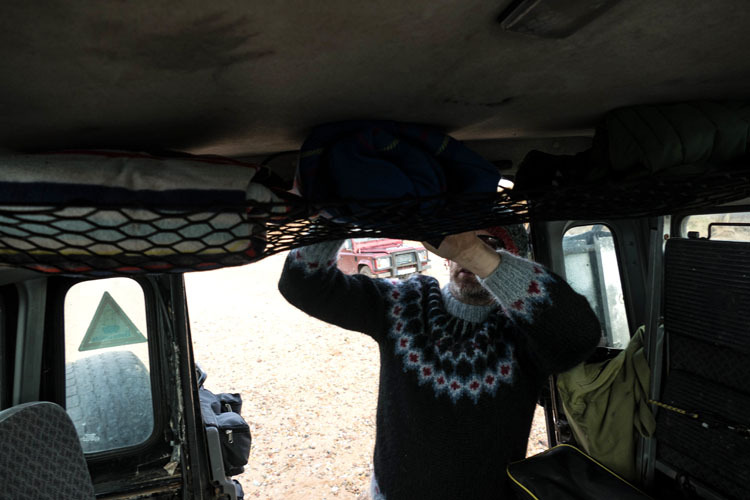 This unique new patent protected Defender storage solution has been designed and manufactured exclusively by TUFF-TREK® and is designed to really optimise dead space in the roof of your Defender. 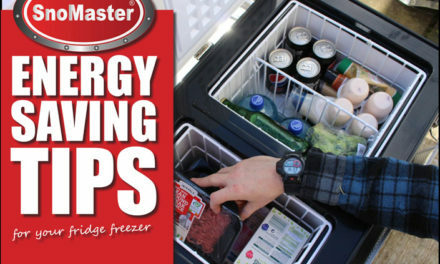 Another innovative storage product includes the patented TUFF-TREK Tailgate Storage piece. 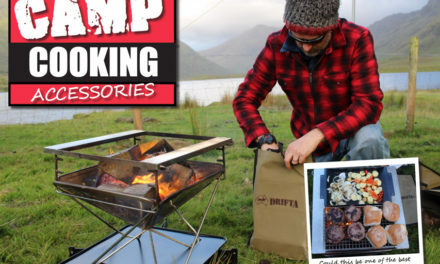 This is a very clever design particularly for easy access to bits and bobs when touring and out camping. 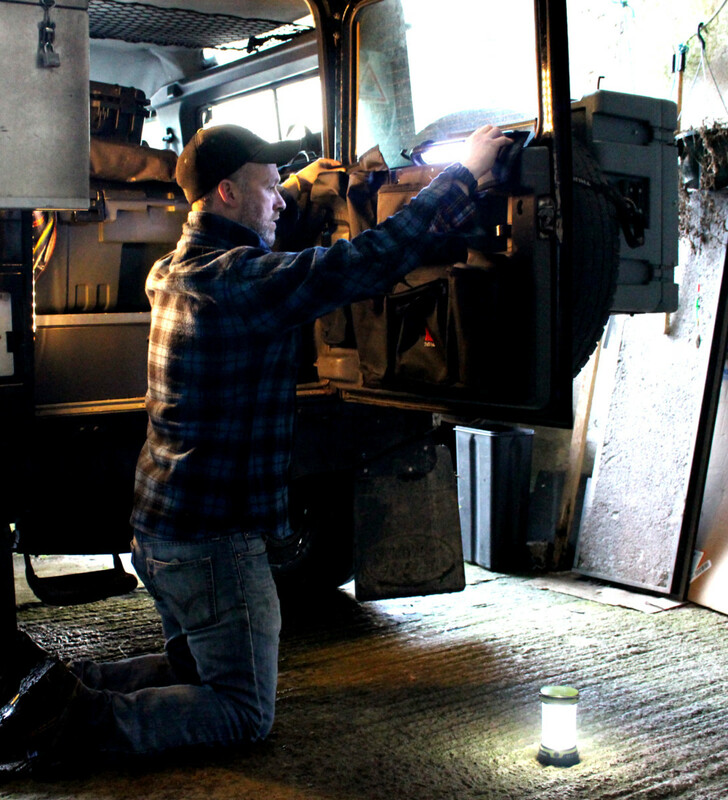 This tailor made TUFF-TREK product maximises the unused space on the back door of your Defender and is a TUFF-TREK patent protected product that is also exclusive Land Rovers. 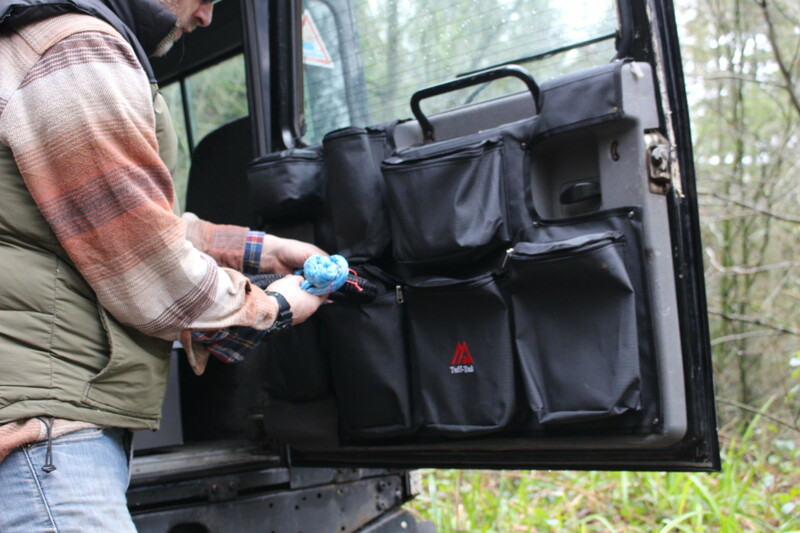 Constructed using a lightly waxed rip-stop canvas this tough organiser is designed to provide a rugged, discrete storage solution for working Land Rovers. 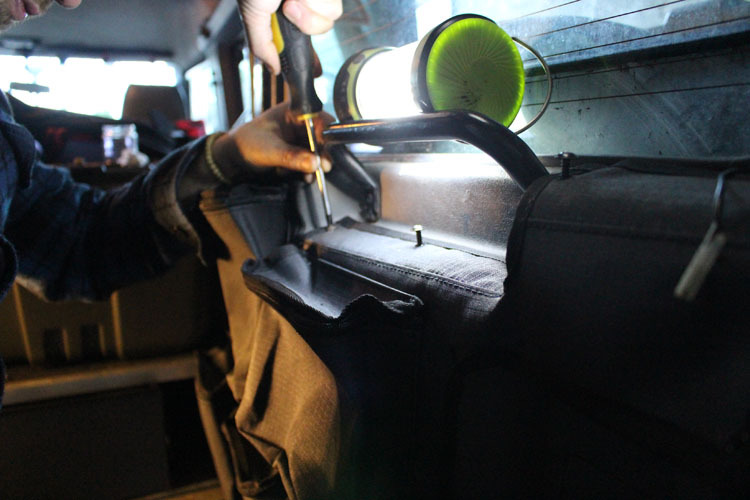 The product has a strong, fixed pockets that have been tailored specifically to fit the rear door card on post-2007 Model Defenders. 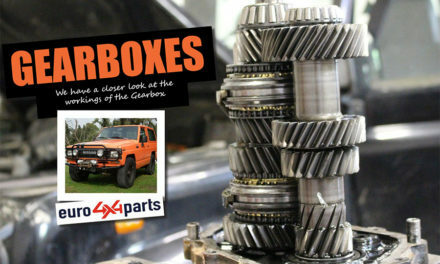 It can also be used on late model TD5 Defenders (post 2002) . 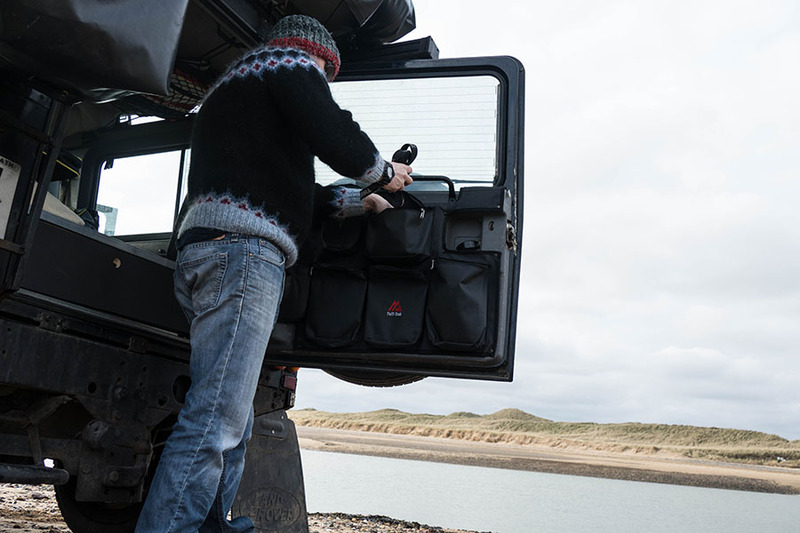 This is the ideal storage solution for the iconic Defender, and can hold camping accessories, dog leads,soft shackles torches, tools and more. 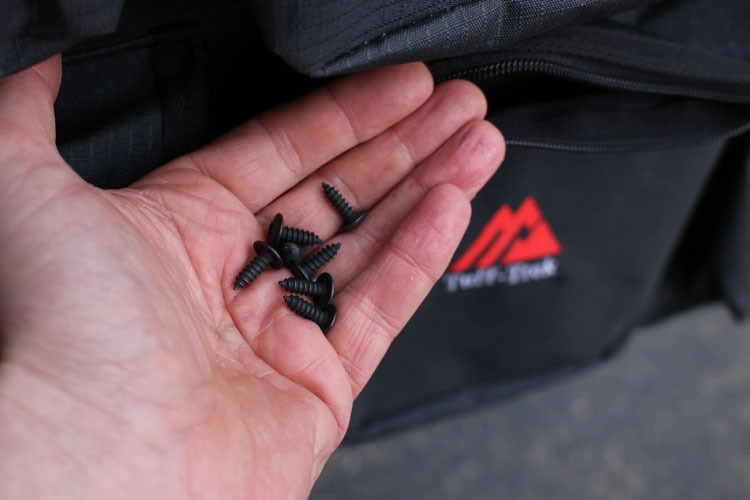 Please Note: the TUFF-TREK organisers will need to be fixed to the door card, using screws, pop rivets or similar (not included).Dara told us that they have some new models arriving shortly for older Land Rovers so stay tuned.